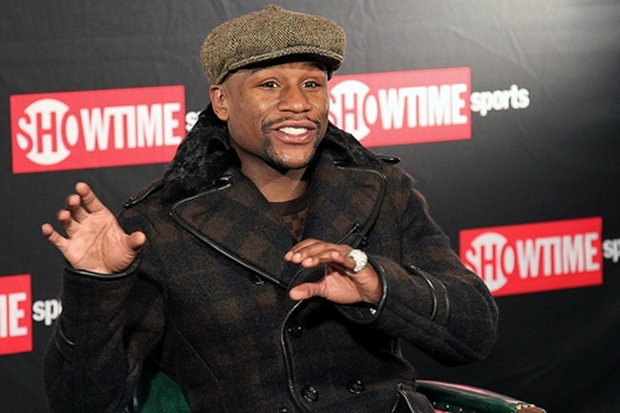 Showtime’s calculated gamble in 2013 of signing Floyd Mayweather to what could end up being the richest deal in sports history is on the brink of being labeled a costly mistake. Yet, even against Alvarez, Showtime really didn’t make all that much when one considers that Mayweather, alone, reportedly ended up taking home $80 million of the $150 million generated. No, Showtime is not making a fortune from Mayweather, nor did they ever intend on making a fortune from his presence on their team. Signing Mayweather was all about publicity and, perhaps more importantly, about luring to the network all of the top shelf fighters eager to take a crack at boxing’s cash cow. 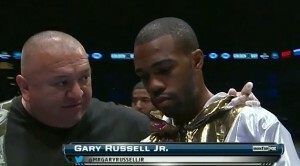 It was also a move to formally invite all other Al Haymon-advised fighters to follow their leader to the new network. 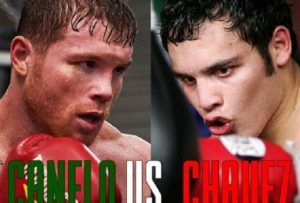 Key to this deal was bringing emerging 20-something superstars Saul “Canelo” Alvarez and Adrien Broner to the network. Alvarez was a proven hit with the Latino audience and a high-profile showdown with Mayweather had been atop his list of priorities since he was an 18-year-old prospect. Broner, on the other hand, wanted to BE Mayweather and had shown enough charisma and flashes of brilliance to make audiences take notice and networks covet his presence. Other welterweights and junior middleweights with a shot at the Mayweather golden ticket would also want to be on Mayweather’s network home. HBO knew the game being played and proceeded to sever all business ties with Golden Boy and Al Haymon about a month after Mayweather signed his deal. It was a face-saving gesture more than anything because as they were kicking Haymon-GBP fighters out the door, these same fighters were on their way out, anyway. For awhile, it looked as though Showtime had HBO on the ropes. TV ratings numbers were proving Showtime’s growth and the product being issued by the second place network was solid and compelling. HBO, on the other hand, was scrambling to make meaningful main stage bouts that would please the fans as well as actually lead to something bigger down the line. It looked to be just a matter of time before Showtime would pass HBO as the leader in elite-level boxing coverage. But then the wheels suddenly fell off of Showtime’s cart. Just over eighteen months into the Mayweather deal, the network’s boxing division looks to be a financially handcuffed mess without the boxing wherewithal to get itself back on track. The well-publicized behind-the-scenes power struggle within Golden Boy Promotions, which saw Oscar De la Hoya force CEO Richard Schaefer into resignation, has created a terribly uncomfortable and awkward business environment that has obviously affected Showtime’s ability to put together solid, fan-friendly shows. 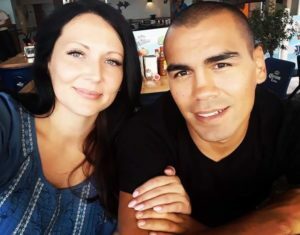 One-time showcase talents like Adrien Broner, Shawn Porter, Amir Khan, Devon Alexander, Paulie Malignaggi, Andre Berto, and Robert Guerrero have been beaten and/or knocked down several notches on the scale of boxing relevance. Light heavyweight kingpin and Mayweather’s Haymon stablemate, Adonis Stevenson made a big deal about moving over from HBO to Showtime, only to see some questionable business tactics cause big ticket rival Bernard Hopkins to jump ship to HBO and sign for a unification bout against Sergey Kovalev. And, most recently, it was announced that the 24-year-old Alvarez would be leaving Showtime after five fights to sign a long-term deal with HBO. This pretty much leaves Showtime with Mayweather– a quickly aging and/or increasingly jaded Mayweather who has become a lightning rod for bad publicity and the focal point of media scrutiny. In a year’s time, they won’t even have Mayweather. 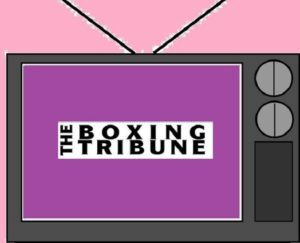 After a brief period of boxing Renaissance via Golden Boy, Showtime is already showing a greatly diminished product with back-to-back poorly-matched and frustratingly bad televised cards, as well as an excruciatingly awful Mayweather-Maidana II PPV undercard. It’s clear that either somebody at the network has stopped caring about the product or someone has allowed the inmates to run the asylum. Probably, it’s a little of both. It’s easy to see how Golden Boy president, Oscar De la Hoya would be reticent about dealing with fighters who, as things would turn out after the Schaefer fiasco, are not even signed to his promotional company. By all accounts and all available logic, the fights we’re seeing on Showtime right now are, technically, under the Golden Boy banner, but not really products of Golden Boy’s matchmaking efforts. It would appear that much of what we’re seeing is actually being brokered by Al Haymon, directly to the network. There’s nothing inherently wrong with Haymon and his talent grab– unless the fight-making system has broken down and he’s essentially allowed a matchmaker role when it comes to his own fighters. Of course, a manager (or manager-like advisor) is going to protect his assets by booking fights that offer the least risk for the greatest possible amount of money. Haymon’s job is not to deliver return on investment to Showtime or even to tickle the fancy of the public. He’s there to make money and serve his clients. He’s doing his job…The play callers at Showtime are not. Showtime Sports’ Stephen Espinoza, who looked like a gloriously victorious boxing Michael Corleone, at the very beginning of this entire Mayweather deal is now looking like a bumbling Fredo, screaming “I can handle things! I’m smart! Not like everybody says…I’m smart and I want respect!” before leaving for his one-way fishing trip in The Godfather, Part II. Ratings are not the issue in games between premium cable channels. 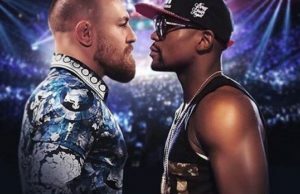 The real telling of tales can be found in subscriptions and Showtime subscriptions have increased since the Mayweather deal, from around 22 million subscribers at the time of the Mayweather signing to just over 23 million as of this writing. How many of those added subscribers came aboard because of boxing is something only network insiders could probably tell you via closely-guarded in-house polling. But it doesn’t take a programming genius to see when everything has fallen to pieces. The network’s two remaining shows of 2014 feature the gunk left in Al Haymon’s matchmaking lint filter. Chad Dawson, Rances Barthelemy, Vanes Martirosyan, Andrzej Fonfara, Tomoki Kameda, and Roberto Garcia will now get their chance to make a token payday at Showtime’s (and the fan’s) expense as all of Haymon’s main stars undo the top button on their trousers and sit back to revel in a blockbuster year for bogus paydays. Sadly, 2015 doesn’t look to be any different than the second half of 2014. The Showtime cast of fighters is mostly noncommittal about any real, high-stakes battles with elite-level opposition. Showtime and Espinoza have managed to parlay the boxing coup of the century into a network-crushing blunder over the course of just a few months. And it doesn’t seem that there’s anyone aboard with the guts or the brains to save the sinking ship. Instead, “Fredo” Espinoza seems to be doubling down on his failed strategies and weak-kneed approaches. Him conceding the network’s last two shows of the year to allow playing time for the Haymon B-team speaks volumes as to who’s really running things. It makes you wonder whether Espinoza’s priorities are more in line with making Haymon and his fighters rich than in delivering a quality product to the fans. You can email Paul at paulmagno@theboxingtribune.com or watch as he’s sporadically attacked on social media by FULL members of the BWAA. You can also buy his book, Notes from the Boxing Underground! Paul is a full member of the Burger King Kids’ Club, a born iconoclast, and an ordained minister in the Universal Life Church.